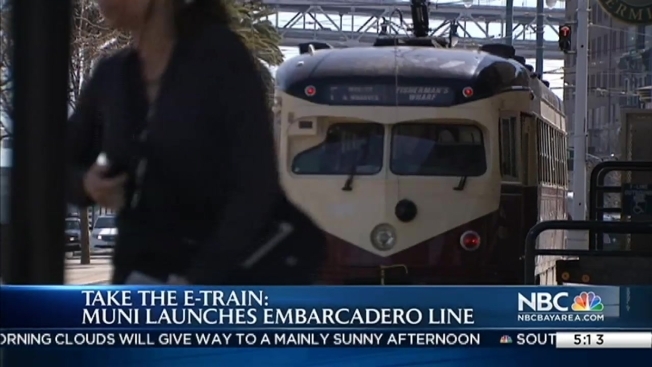 A historic street car line is relaunching Friday in San Francisco along the Embarcadero. It's called the E Embarcadero. City transportation officials gathered near Embarcadero on Friday along with Mayor Ed Lee to launch the E Line. According to SFMTA, the new line will connect riders with a single-seat trip from AT&T Park to Fisherman’s Wharf and the northeast waterfront. Starting August 1, the street car will run only on weekends. In 2016, it will run seven days a week. The E Embarcadero last ran in the city in 1947.